﻿ GD-Y820 hydraulic surface grinding machine-Dongguan Qiandao Precision Machinery Manufacture Co.,Ltd. 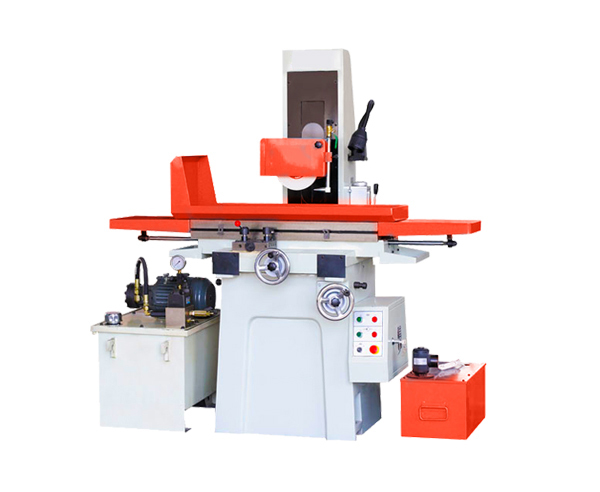 1, machine reasonable structure, good rigidity, good appearance, easy to operate. 2, table lateral movement adopts hydraulic drive, electric device is optional according to customer's request. 3, main shaft bearing adopts P4 precision rolling bearing. 4, machine tool spindle using labyrinth seal, waterproof and dustproof performance is good. 5, can grinding all kinds of plane and complex shape, suitable for without motor feed grinding, can according to user needs with permanent-magnetic chuck or magnetic chuck.